This is a smart watch? 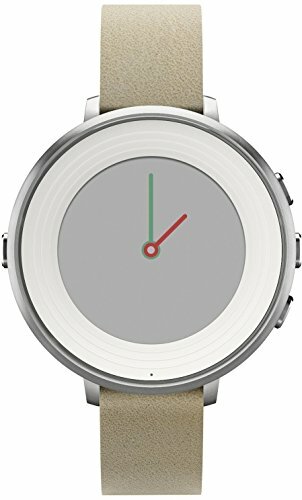 All the easy-to-use, time-saving features that Pebble pioneered to define the smart watch category, now available in a design that’s lighter and thinner than any other smart watch. Its battery lasts for days - not hours - and its bright e-paper display is always on. Check notifications, incoming calls, texts, and your calendar, all at a glance. Includes Pebble Health, a built-in activity and sleep tracker with daily reports and weekly insights. Behind all those smarts, it’s still a great watch. It just also happens to look like one. If you have any questions about this product by Pebble Technology Corp, contact us by completing and submitting the form below. If you are looking for a specif part number, please include it with your message.